Tangerines are one of my favorites for their bubbly energy. The color of this tangerine is so dark it is almost red. It would make a good anchor for a healing grid and the flat bottom would work in body layouts too. 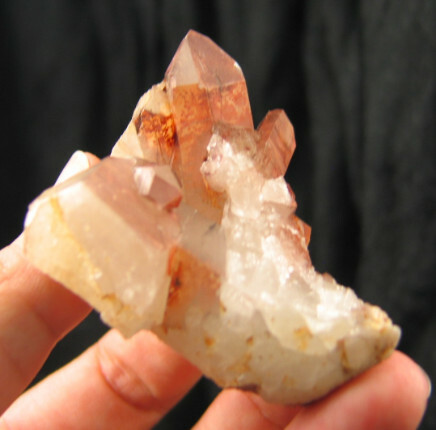 Tangerine quartz is one of my favorites in the quartz family for its bright color and energy. 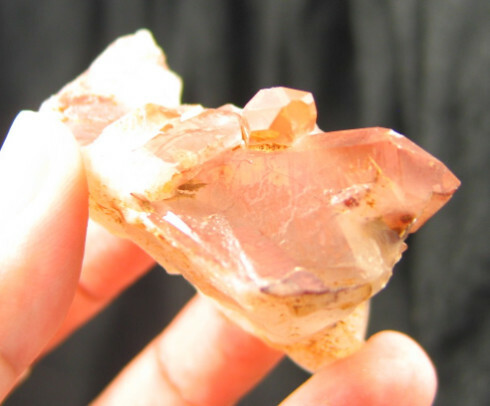 They have great vitality that infuses your sacral chakra. This can spark creativity and aid studying as your sacral chakra is where you "digest" information as well as food. Tangerines have a fun loving energy, but knows how to be serious too. They are fantastic companions, healers and teachers. 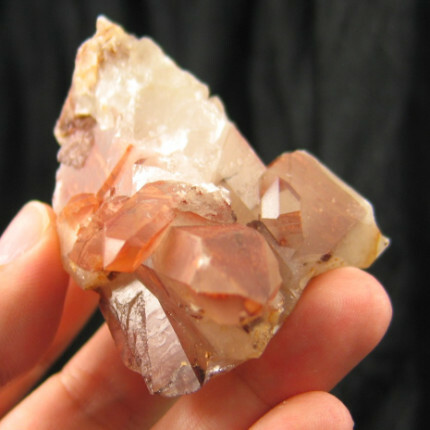 Tangerine quartz is a crystal which exhibits a tangerine color; the color appears to be on the outside of the crystal and has not been removable in the usual acid baths. 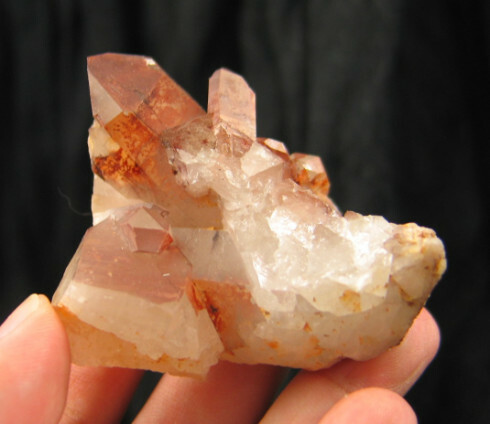 Tangerine quartz has been used to promote Inner Self evaluation and evolution. It brings one the strength and the loving essence to continue in any and all pursuits. 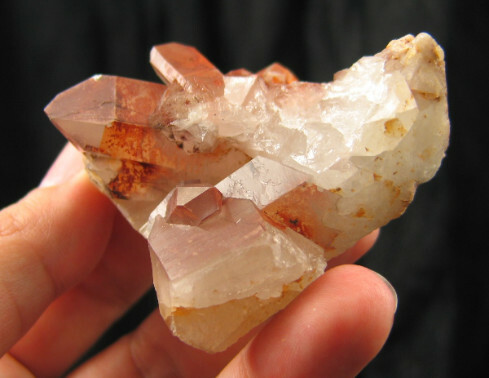 Tangerine quartz stimulates the sacral chakra and enhances creativity, intuition of the physical plane, and sexuality. It further dispels isolation and dis-connectedness and abates unwarranted fears. 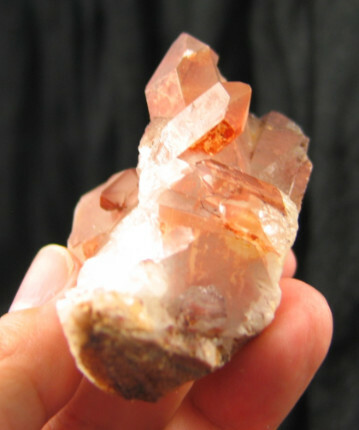 Tangerine quartz has been used in the treatment of disorders related to the reproductive system, to infertility and/or frigidity, and to intestinal disorders. It has been used to assist in the assimilation of the vitamins and minerals and to promote healthy weight. It can be use to assist in the removal of free-radical oxides from the body.